Photo courtesy of Oculus Rift. The Dish Daily was able to get its hands on an Oculus Rift to try this experience, playing Team Fortress 2. As it stands, the use cases have yet to be fully explored, but the Rift shows enormous potential to fundamentally change the way we think about communication and entertainment media — and at a bearable price, at that! 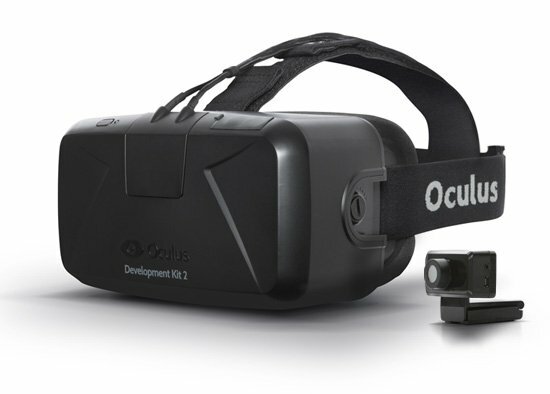 The Oculus set comes with a headset and head-tracking camera. The headset has two straps on the side and one on top to fit snugly over your head, and the OLED display can be seen through a goggle-like structure. With a display for each eye, the Rift is able to create a 3D, stereoscopic view. In terms of software configuration (and this is not an exhaustive list), the Rift acts as a sort of second monitor in the sense that you can opt for an extended screen, in which windows would become visible to the Rift by dragging them outside of the standard monitor, or a duplicate monitor, where the Rift would display whatever was on the computer monitor. Another prominent setting was being able to adjust the clarity of the display to your eyesight. Team Fortress 2 is part of a series of popular first-person shooter games produced by Valve Software. Starting out, head rotation was pretty seamless. In the Team Fortress starting chamber, you could move your head 360 degrees and the display would change the scenery with startlingly low latency. However, as you start playing, the experience becomes incredibly dizzying. Given the pace of the game, turning your head as you are running and jumping around in the game landscape begins making you feel nauseous — so much so that it becomes difficult to play after a couple minutes. A solution that I found to combat the nausea was to keep my head still and play the game normally, but at that rate, the Rift just becomes a pair of 3D glasses that enable a bit of peripheral vision. Perhaps it’s because I’m not an avid gamer, but I have yet to be convinced as to how the Rift could be used to practically enhance the gaming experience. Example of the stereoscopic view. Photo courtesy of The Rift Arcade. 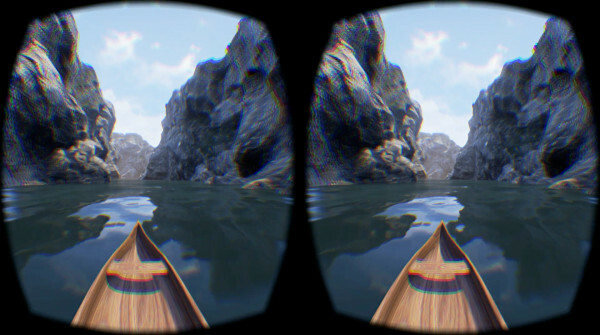 Although less interactive than playing video games, the Rift made watching 3D videos particularly unique. Since videos are not dynamically generated, you cannot turn your head to control the view, so it’s not truly “immersive,” but the Rift is able to turn compatible videos into an experience akin to watching a movie in 3D. It’s not too much of a leap to imagine the same technology being used to enrich other forms of entertainment media or making video communication more immersive. At $350, the Rift’s price is becoming affordable to the general consumer, but with the few present use cases, it has yet to become a commonplace item. There is no doubt, however, that as more apps are developed to support the Rift and as its potential functions become more apparent, the Rift could be used in capacities such as remote interactions for patient care, training and simulation, education and so on. Combined with existing work such as Google’s Street View, the Rift could potentially make seeing any part of the world accessible at the click of a button. At that rate, the $350 price tag becomes a bargain for the sort of communicative power that the Rift could enable. You can talk to Andrew Han at handrew ‘at’ stanford.edu.